I received a copy of The Sparkle Box in exchange for my honest review. I did not receive any monetary compensation for this review. 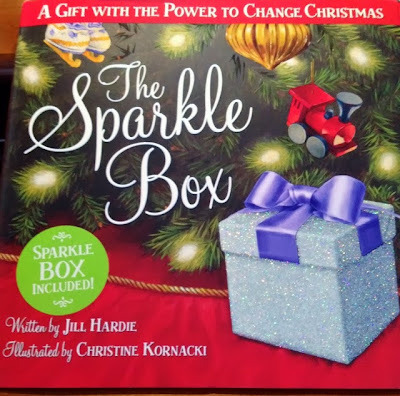 The Sparkle Box is a new book by Jill Hardie that is sure to be a huge hit in any family this Christmas. This is a book about a young boy who can't wait for Christmas to arrive. He is especially curious about a sparkling silver box on the mantel. He is told it is a special gift that the family will open together, but first they need to fill it. Throughout the Christmas season, Sam begins to understand how lucky he is as his family helps others. Come Christmas morning, they open the box and Sam understands the true meaning of Christmas. For in the box were slips of paper with all the good deeds he and his family did throughout the season. His mother explained that he Sparkle Box is their gift to Jesus on Christmas Day. It is a great reminder that what we do unto others, we do for the Lord. The book even includes a nice little sparkle box to be used in your family. 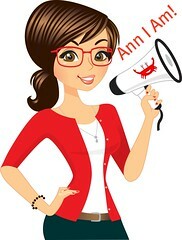 There are also more activities online at www.TheSparkleBox.com. My girls and I enjoyed the story and they were thrilled with the sparkle box. I love that throughout the season, my girls will be focused not just what they want to get at Christmas, but also on what they can do for others. It will be fun to open and read the notes on Christmas day. An instant classic that any Christian family will enjoy--a beautifully illustrated book with a more beautiful message!